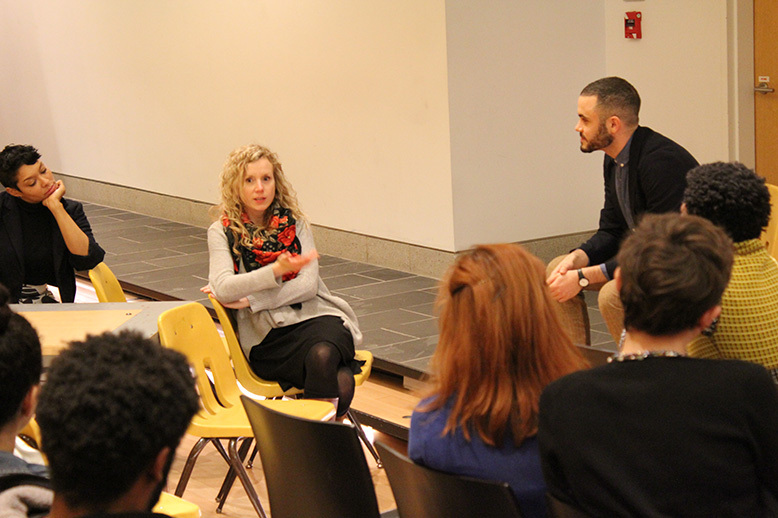 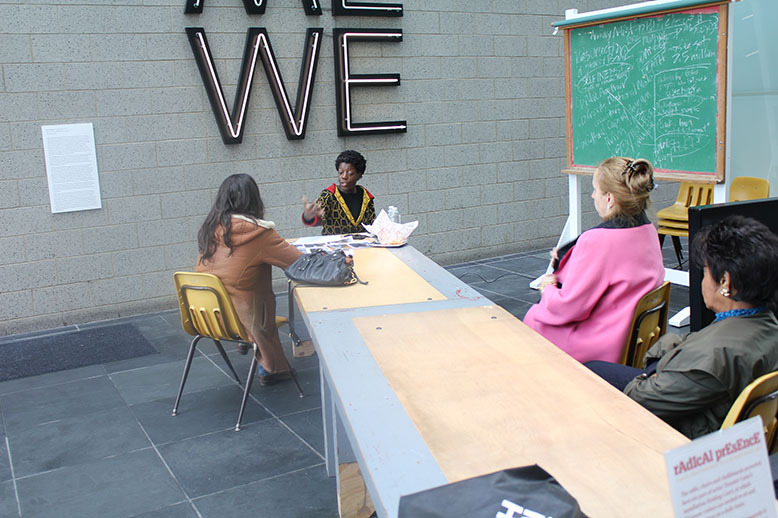 The installation, See, Sit, Sup, Sip, Sing: Holding Court (2012) evokes a classroom that has been relocated to the Museum’s atrium. 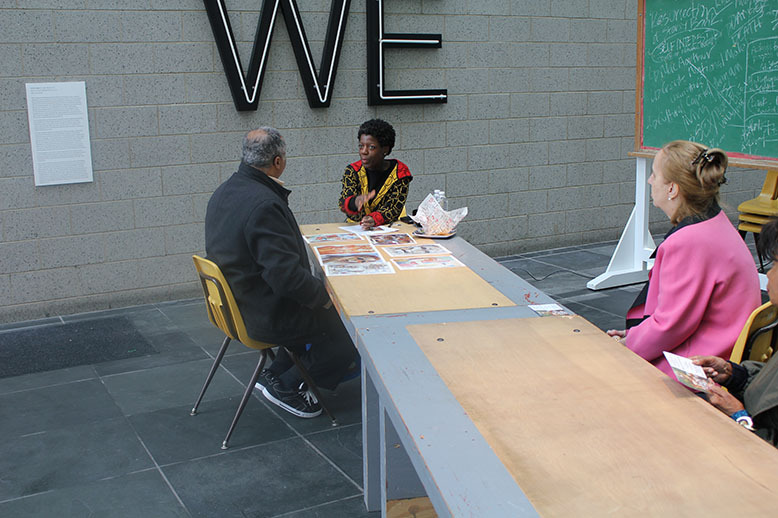 Created from tables, chairs and desks salvaged from a now-closed public school on Chicago’s South Side, this installation–much like a classroom–is designed as an experience for learning created by the people assembled in and around it. 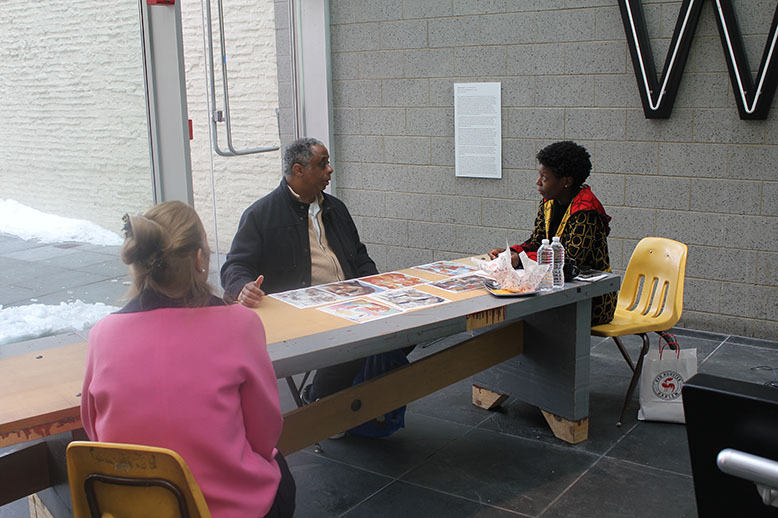 Gallery visitors, tour groups, Museum staff and passersby are invited to sit around the large table, exchanging thoughts and ideas. 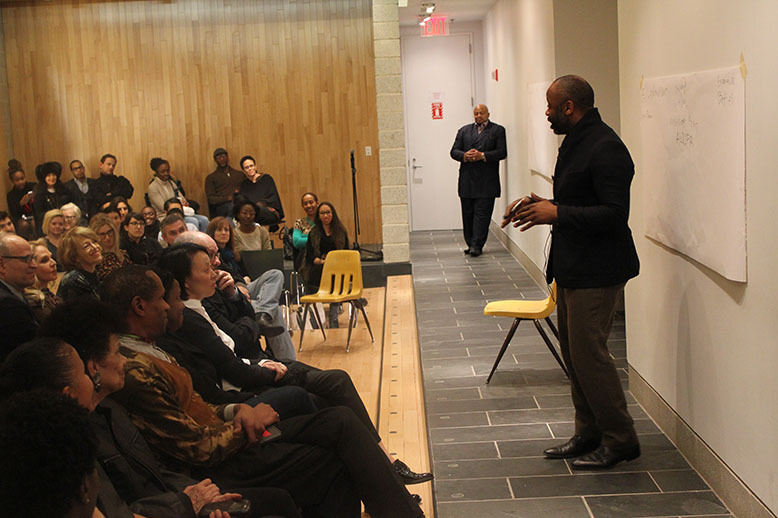 Artist Theaster Gates created the installation to be used throughout the course of the exhibition for everyday conversation and interaction. 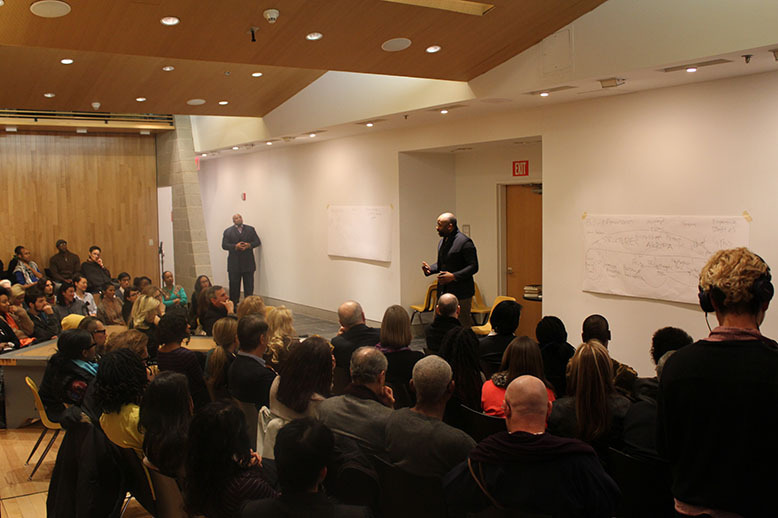 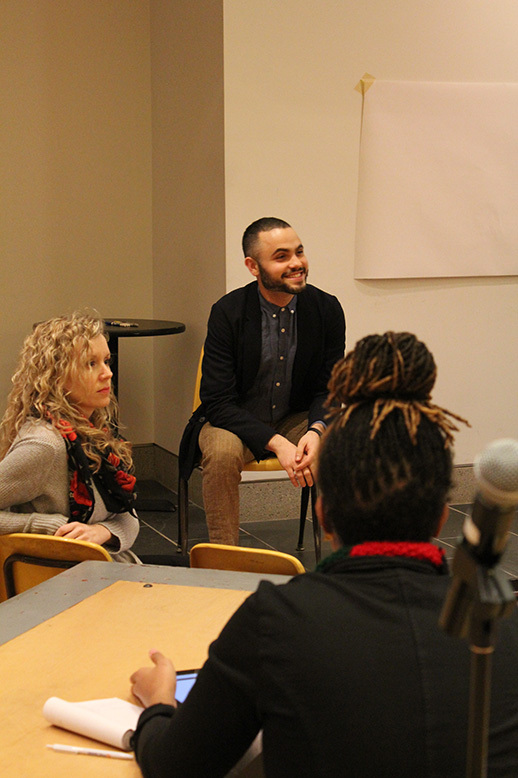 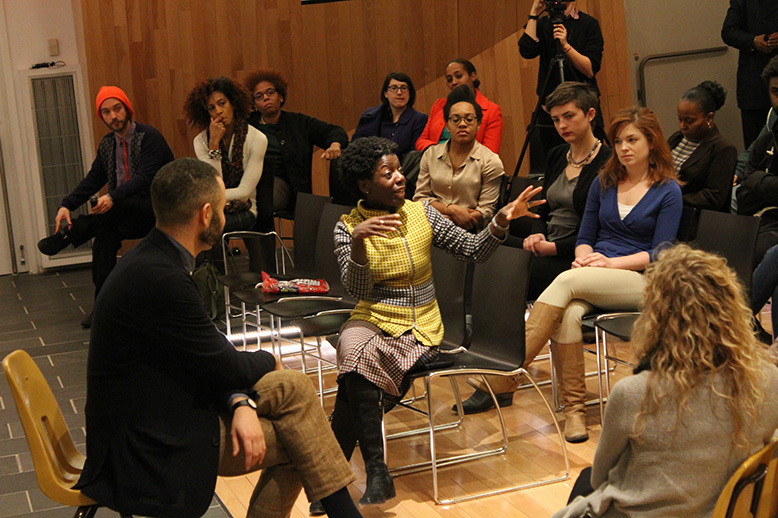 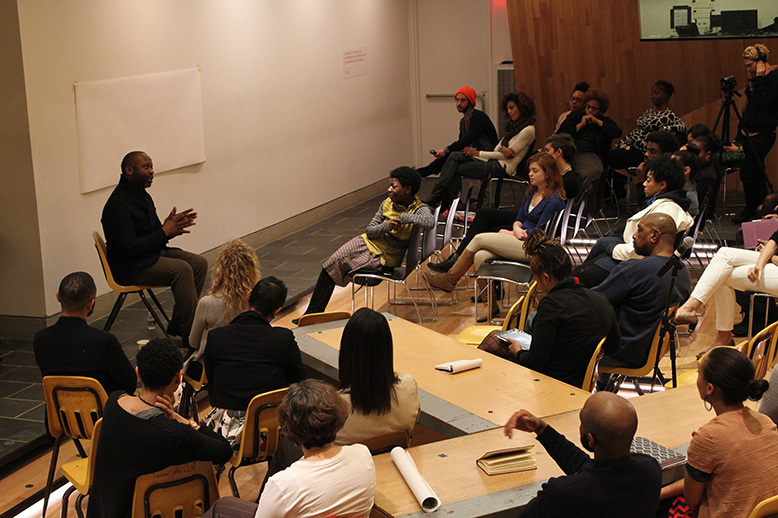 While on view in Houston, the installation became the site for a series entitled, “Revenue Sharing,” a series of programs, lectures and workshops that spark dialogue around a wide range of topics inspired by Radical Presence. 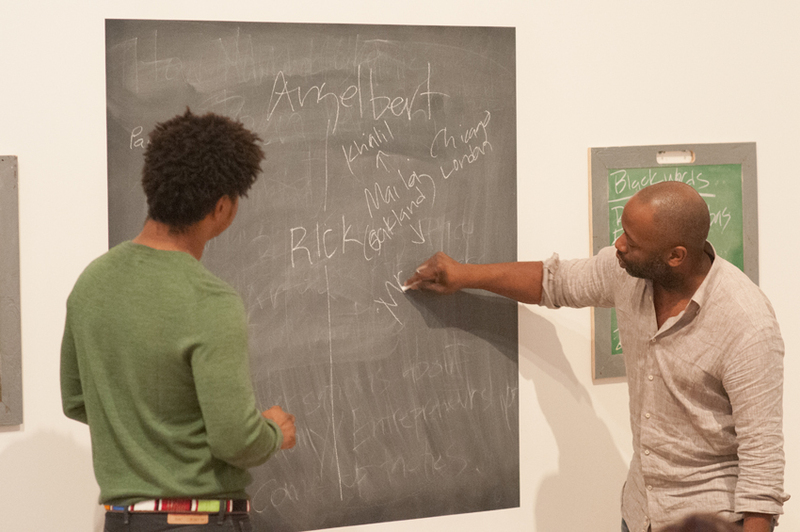 The installation also includes chalkboards for recording the ideas discussed during the programs or simply in the course of an ordinary day. 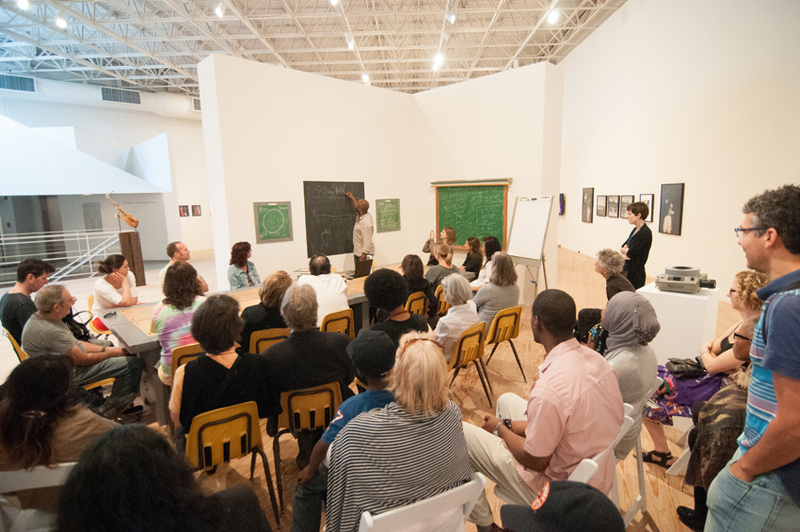 Dependent on the interests and expertise of its participants, Holding Court highlights cultural, intellectual, and interpersonal exchange. 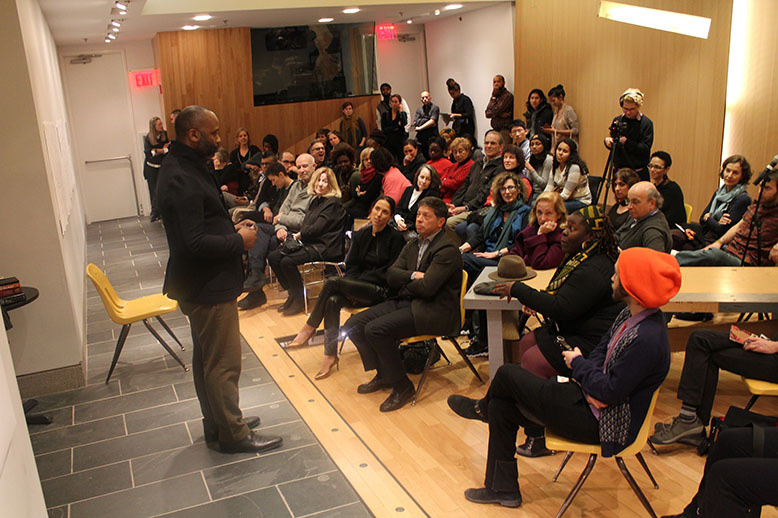 Gates, who has a degree in urban planning, sees this installation as one of many strategies employed to foster community engagement and participation, as well as grassroots actions through large-scale sculpture, performance, and intervention. 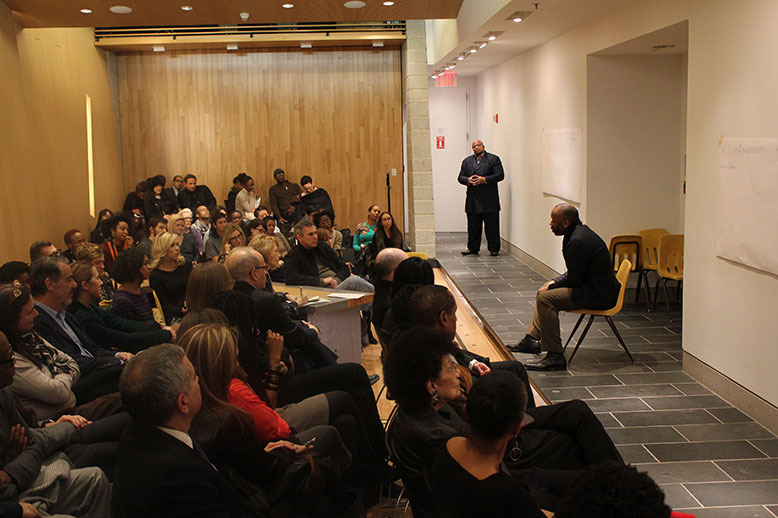 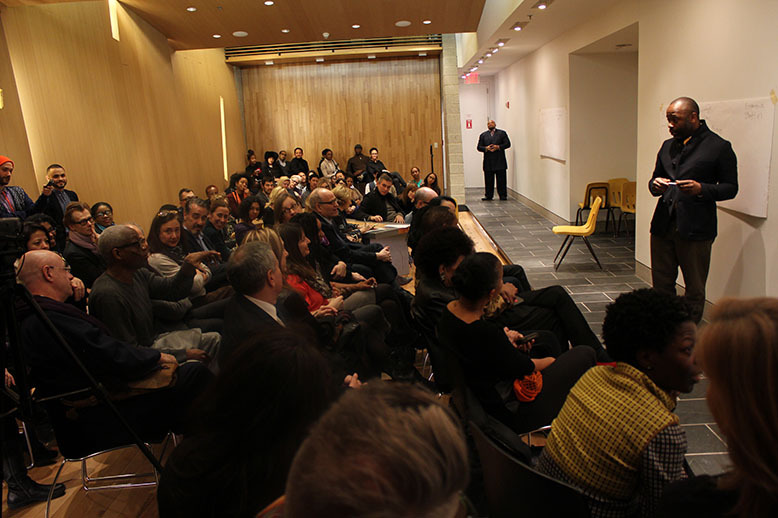 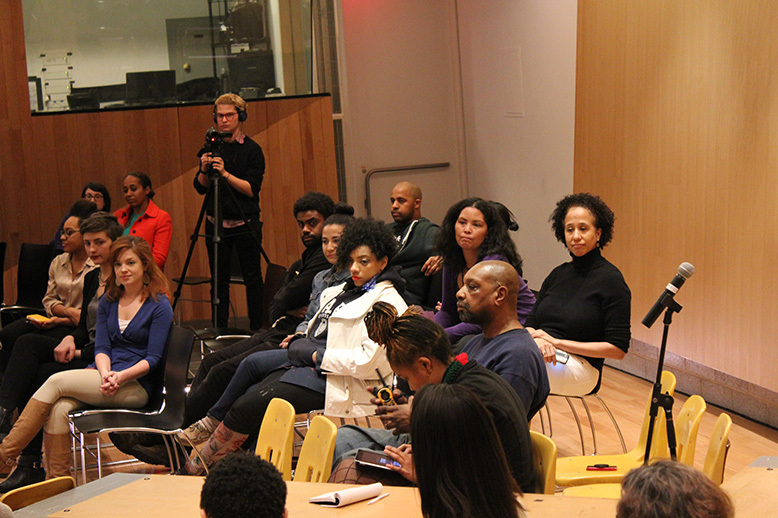 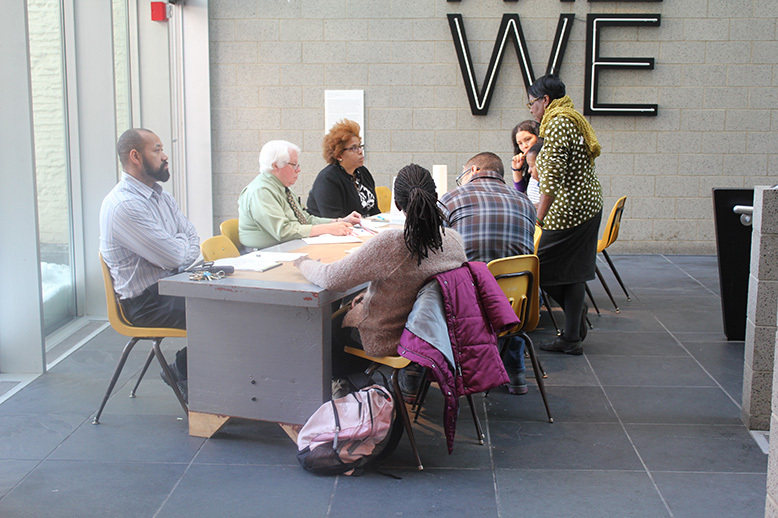 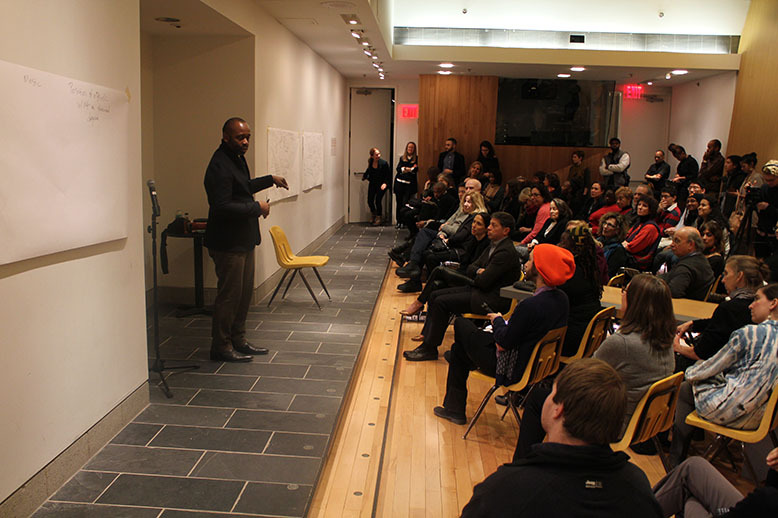 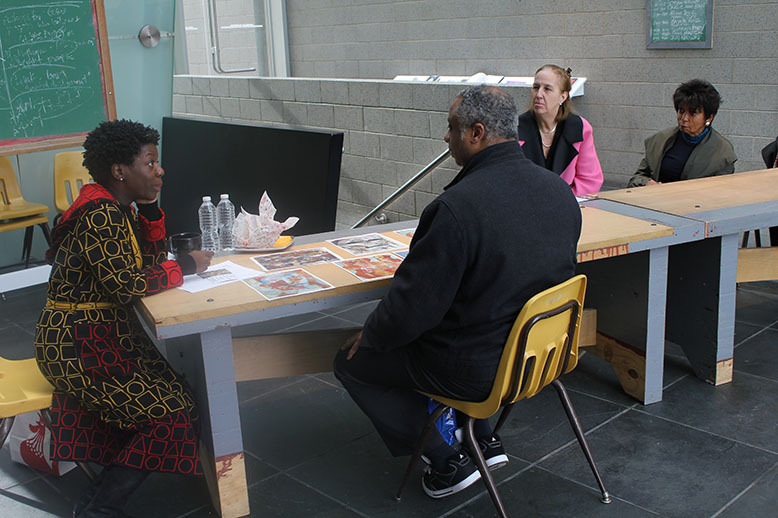 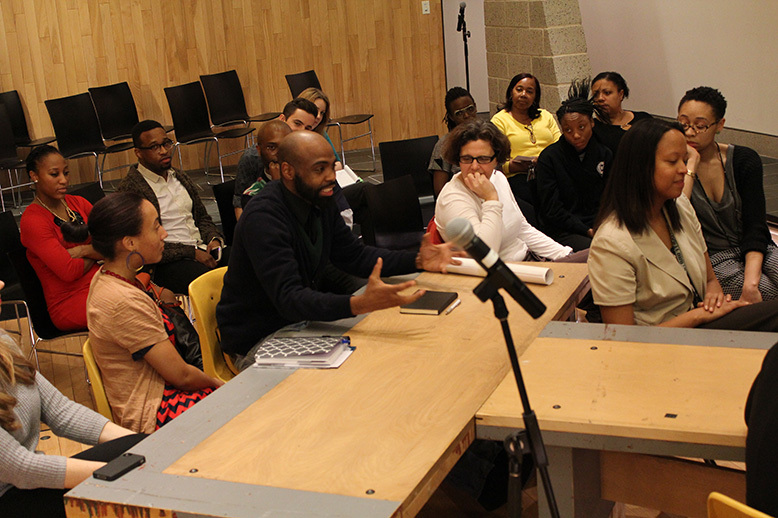 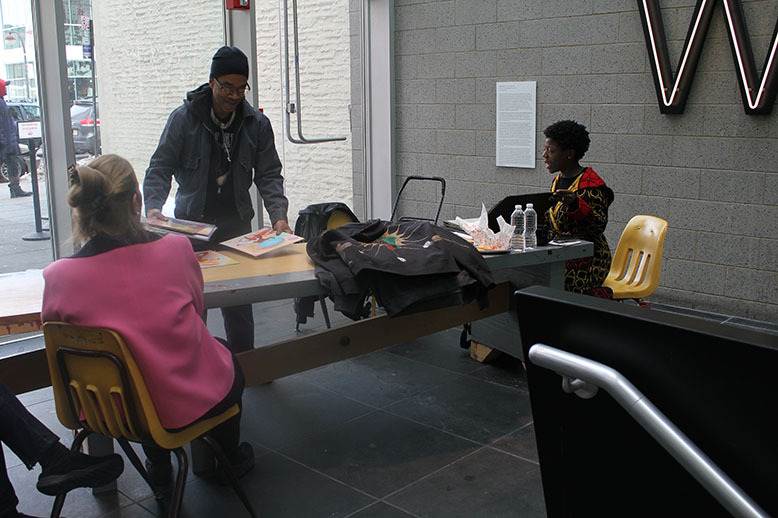 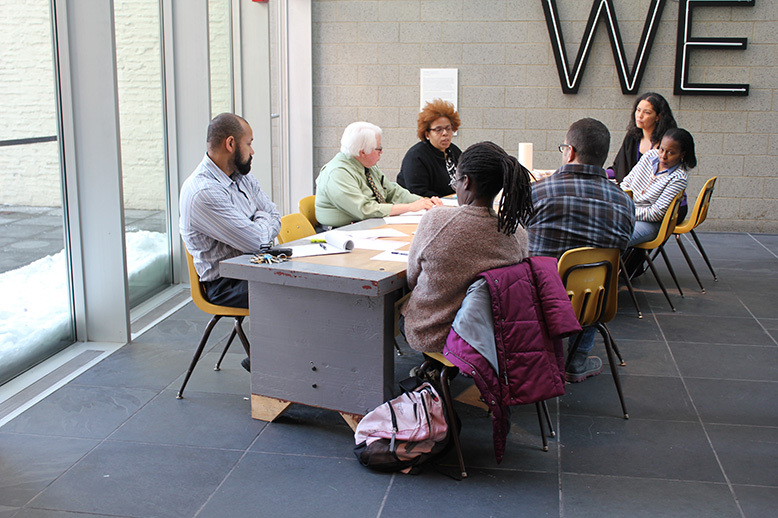 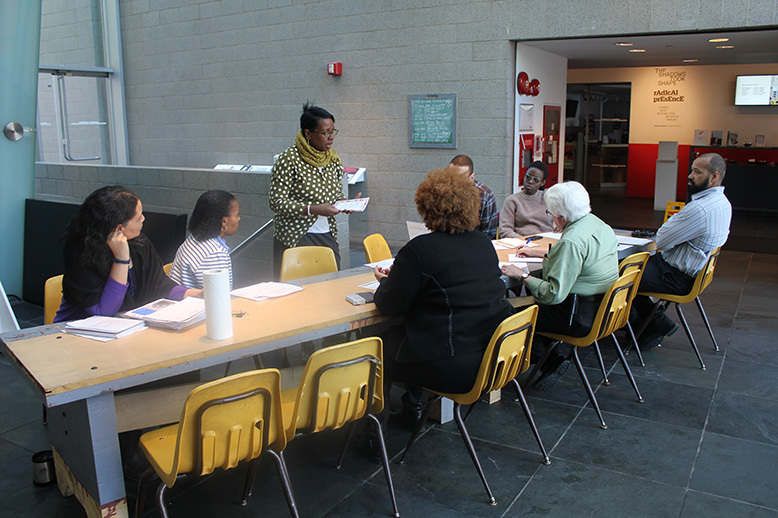 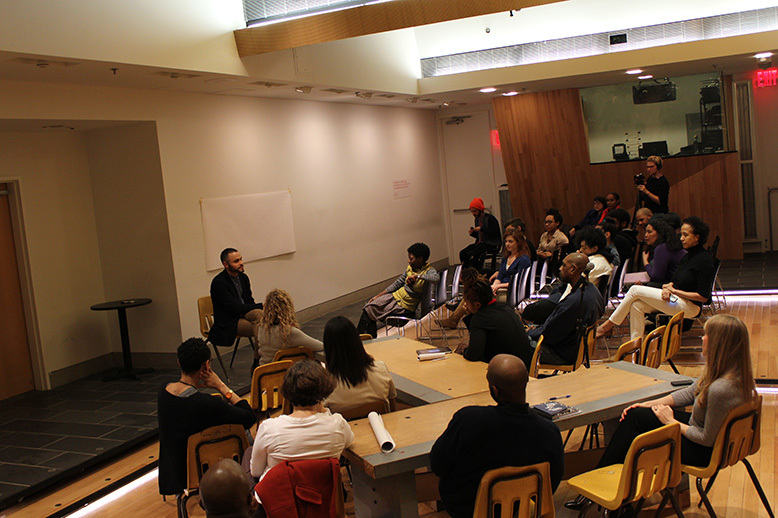 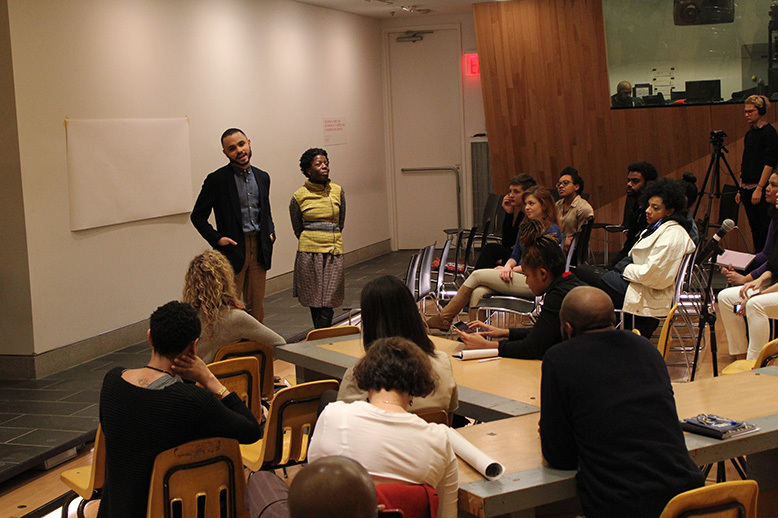 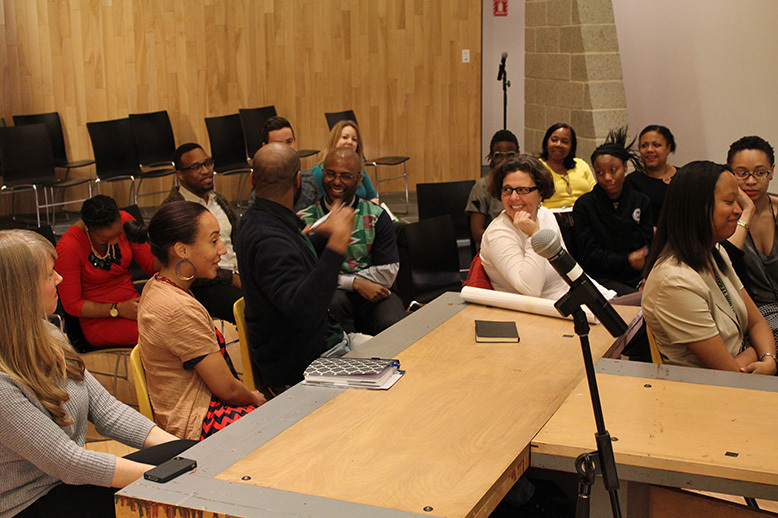 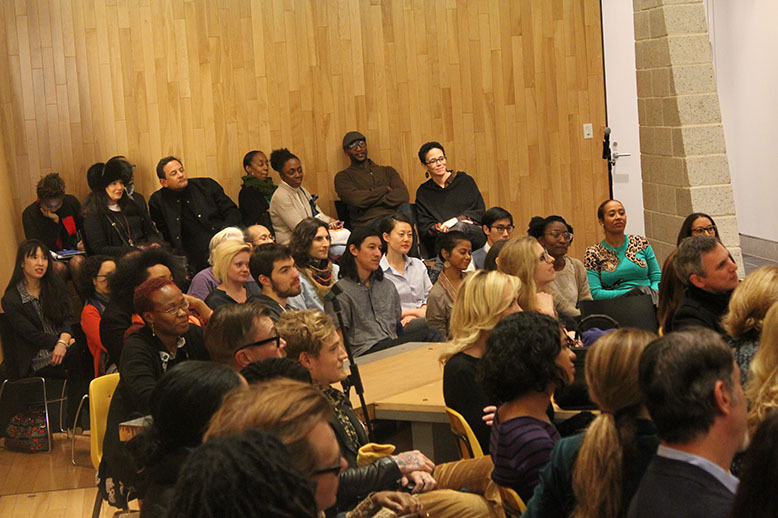 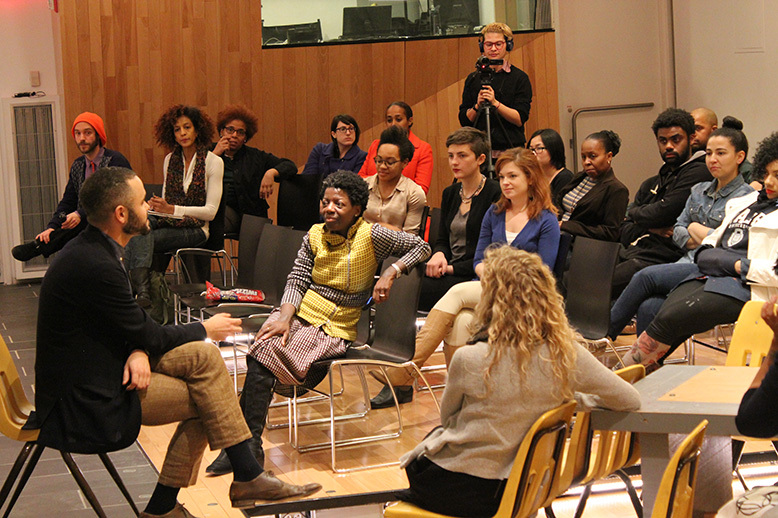 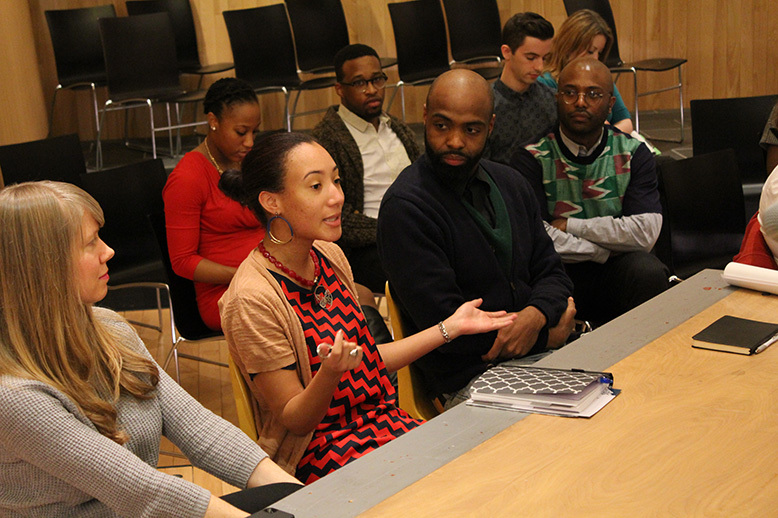 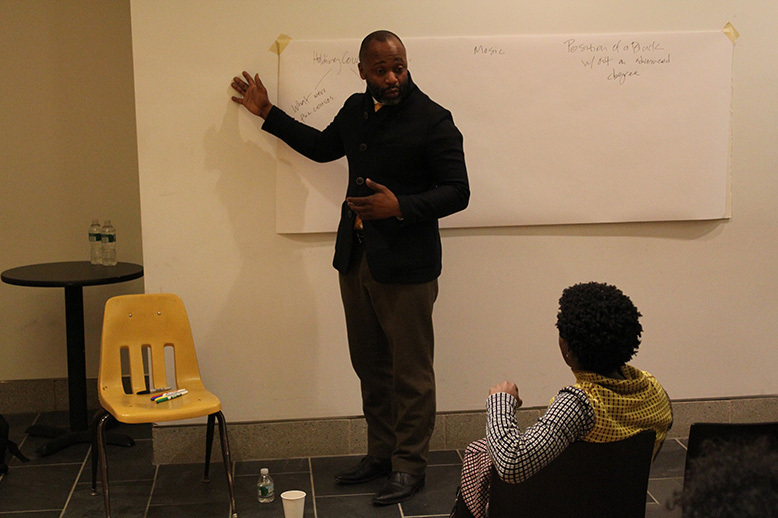 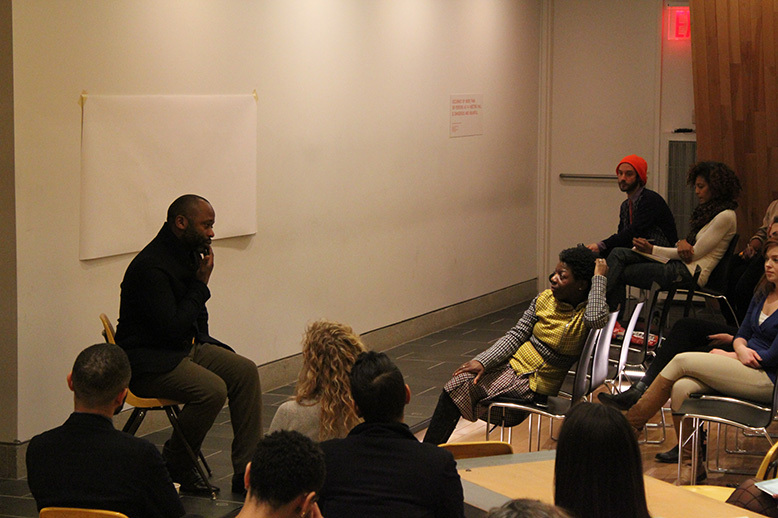 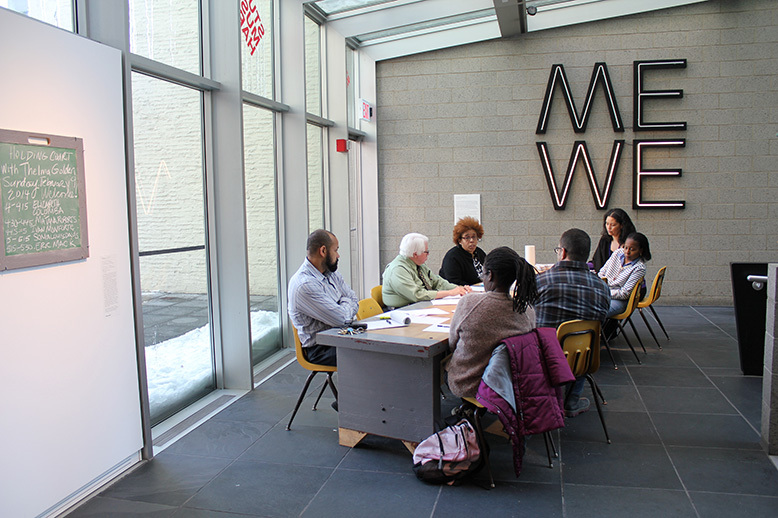 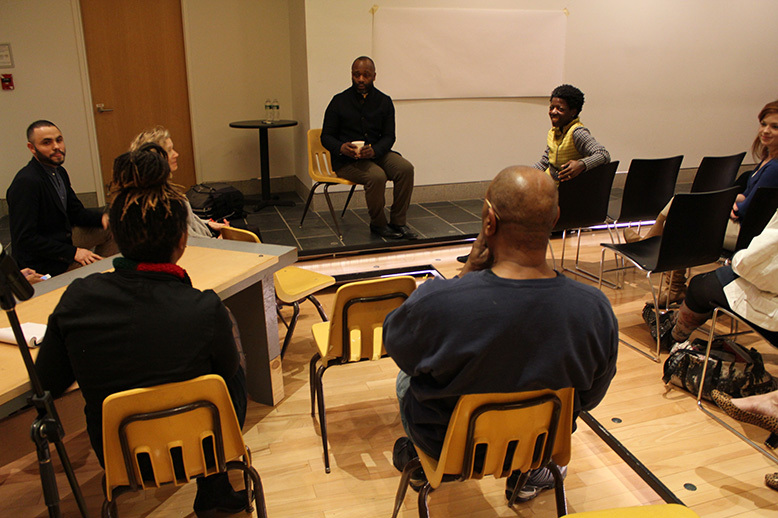 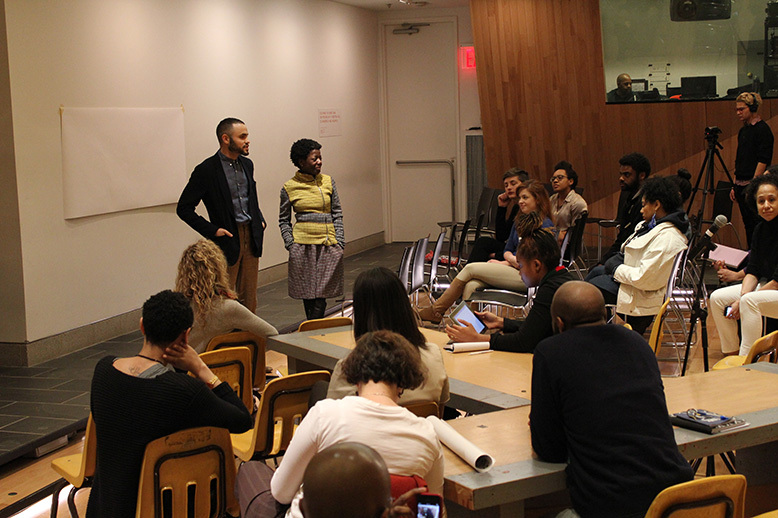 Often responding directly to the histories and architectures of urban sites, Gates is especially interested in social responsibility and institutional transparency—making the location of Holding Court in the Studio Museum especially fitting: all activities at the table are clearly visible from both inside the atrium and from 125th Street. 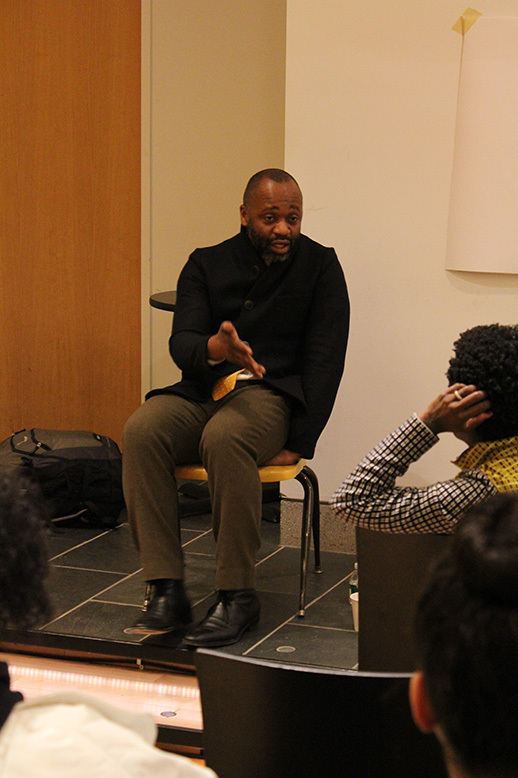 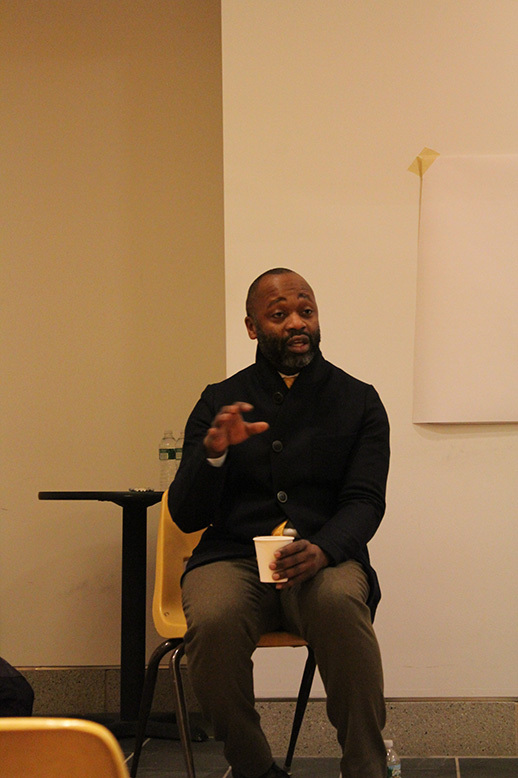 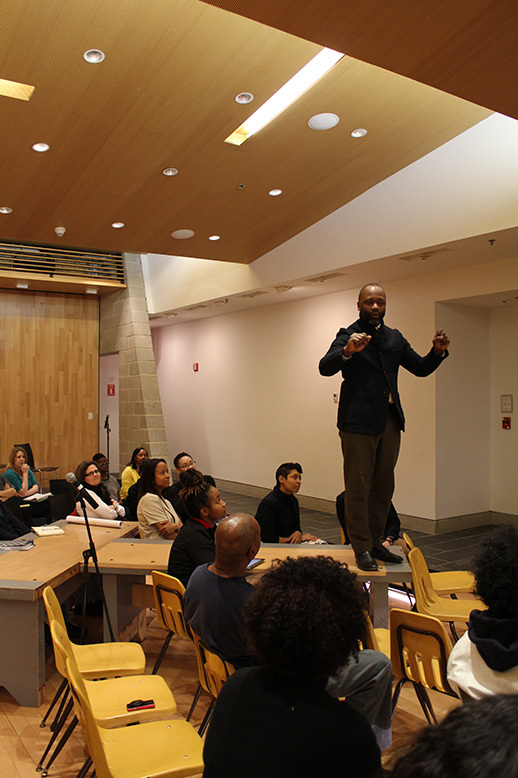 Theaster Gates received his BS from Iowa State University (1996), his MA from the University of Cape Town (1998), and his MS from Iowa State University (2006). 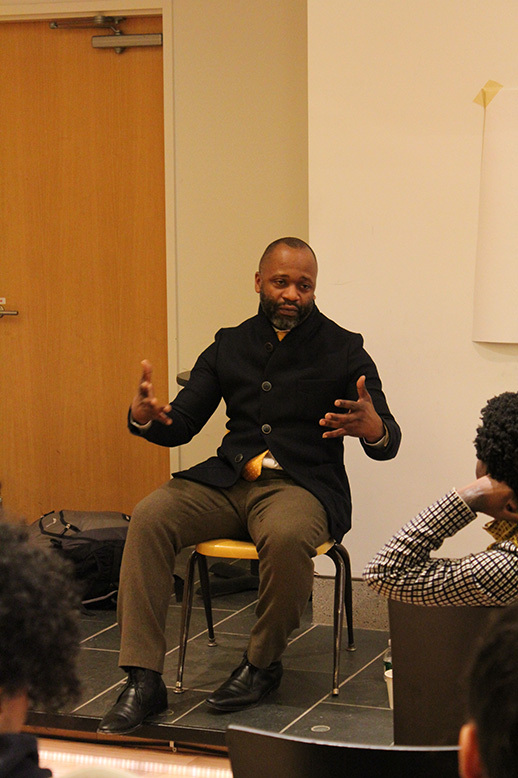 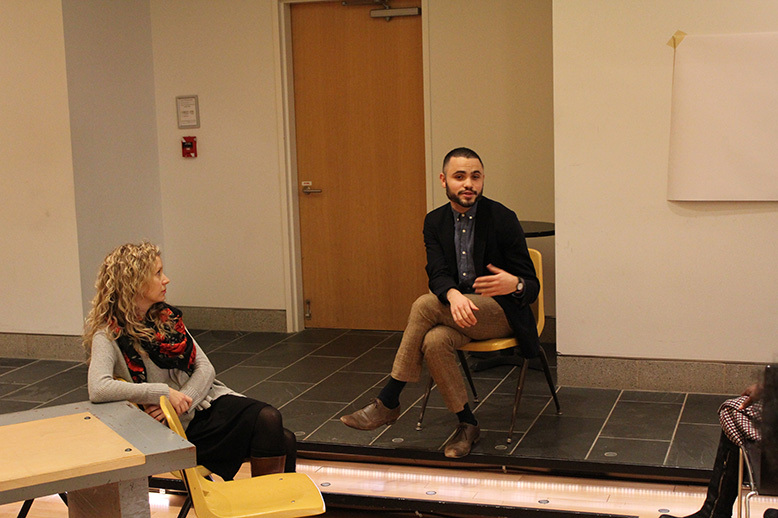 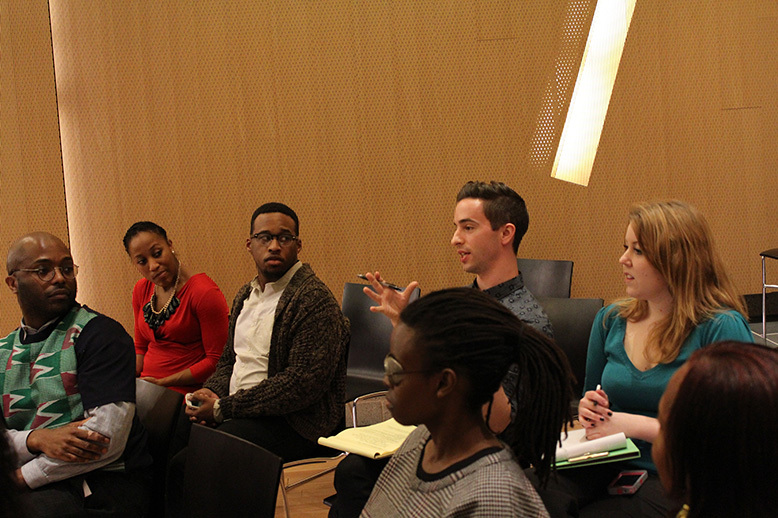 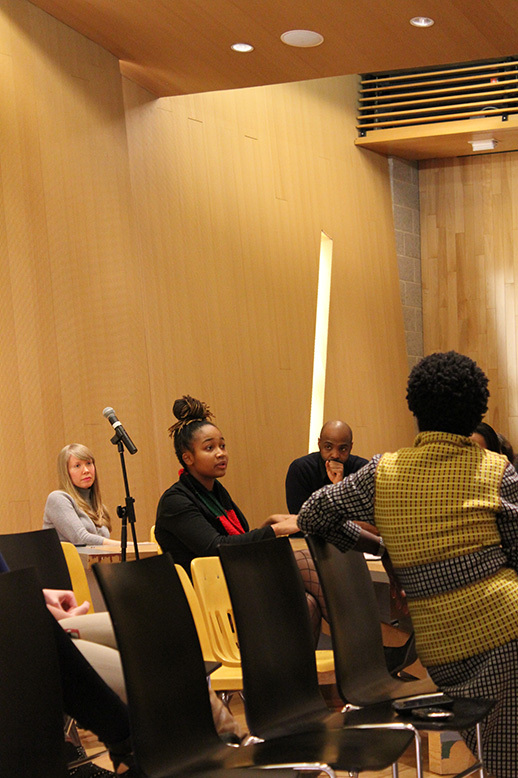 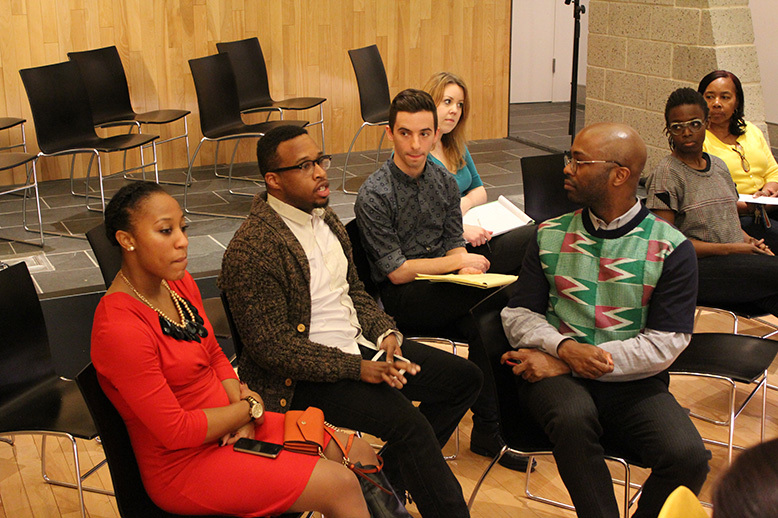 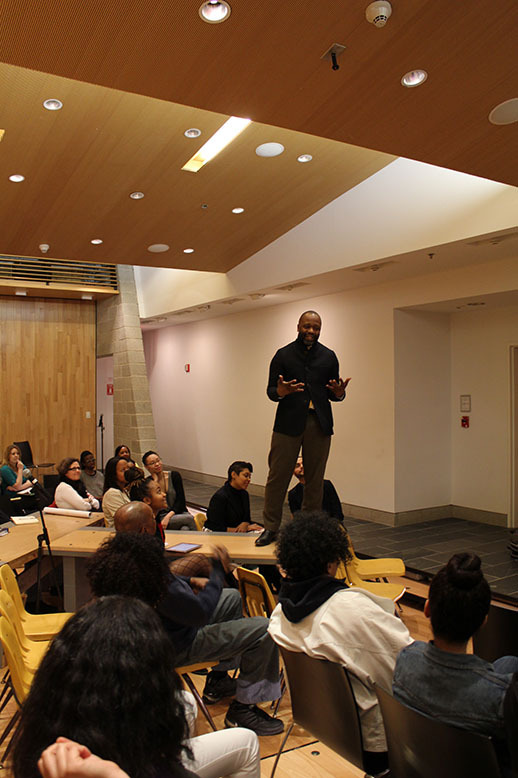 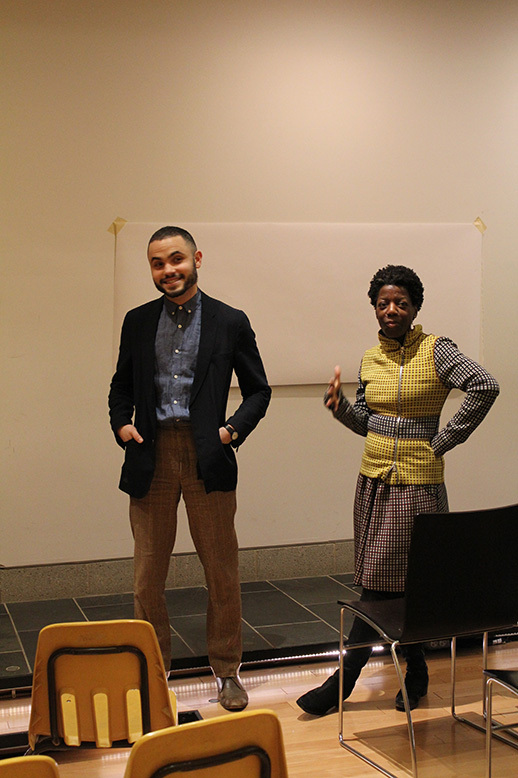 He is currently the coordinator of arts programming at the University of Chicago. 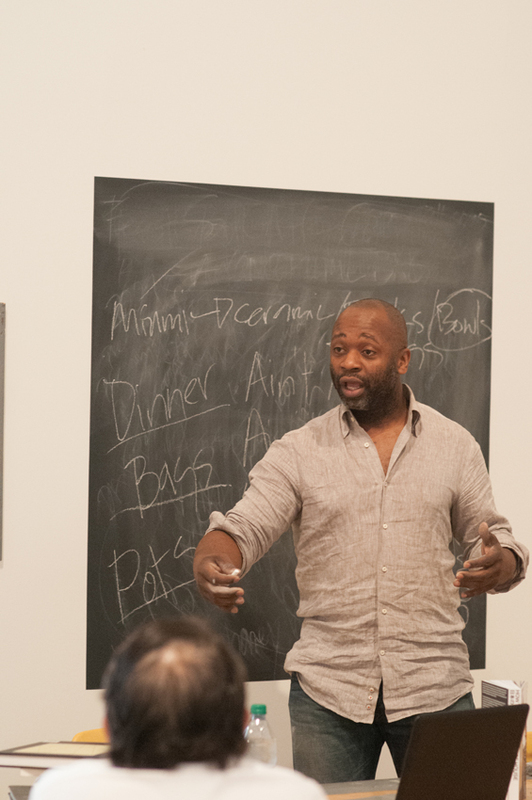 His solo exhibitions include 13th Ballad, Museum of Contemporary Art Chicago (2013); Things, Fabric Workshop, Philadelphia (2012); Theaster Gates: Soul Manufacturing Corporation, Locust Projects, Miami (2012); My Labor Is My Protest, White Cube, London (2012); To Speculate Darkly: Theaster Gates and Dave, the Slave Potter, Milwaukee Art Museum (2010); Dry Bones and Other Parables from the North, Brunno David Gallery and the Pulitzer Museum of Art, St. Louis (2010); Holiness in Three Parts, Boots Contemporary Art Space, St. Louis (2009); Temple Exercises, Museum of Contemporary Art, Chicago (2009); Yamaguchi Institute, Plate Convergence, Hyde Park Art Center, Chicago (2007); Mississippi Houses, Inax Museums, Tokoname, Japan (2005); and Theaster Gates, Yakimono Ceramics Exhibition, Tokoname, Japan (2005). 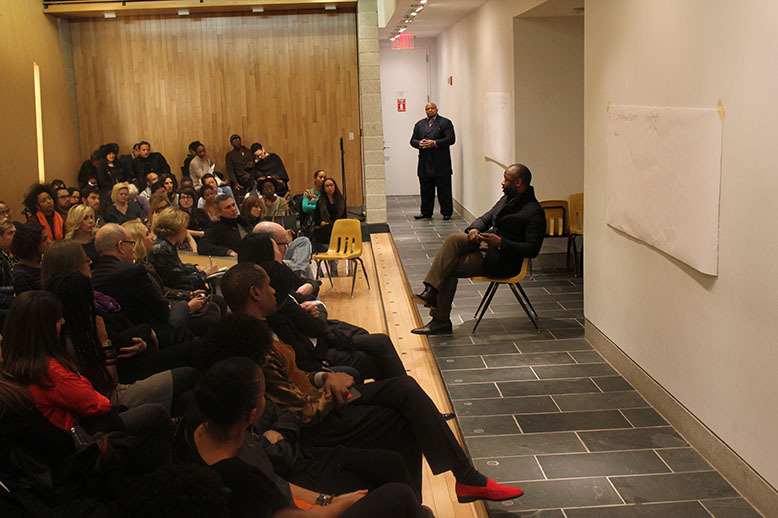 His performances include Black Monks of Mississippi, South Side Community Art Center, Chicago (2009), and Black Monks and the Gospel of Black, Van Abbemuseum, Eindhoven, Netherlands (2008). 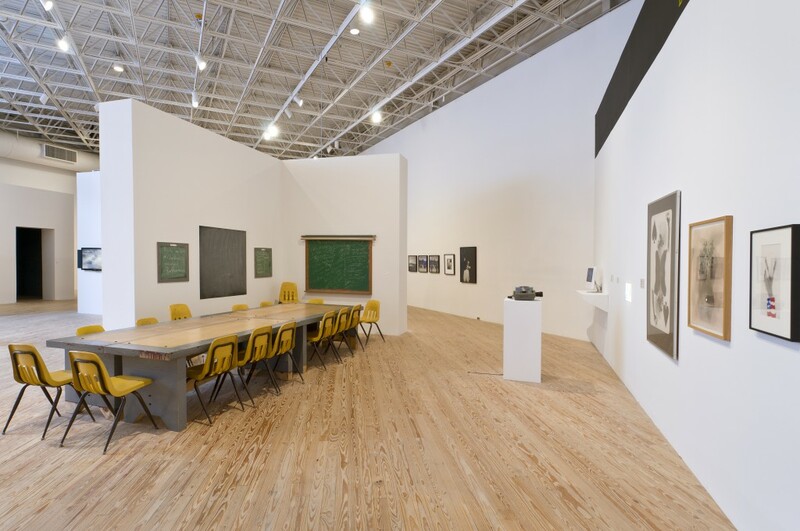 Group exhibitions featuring Gates’s work include Documenta 13, Kassel, Germany, where he presented 12 Ballads for the Huguenot House (2012); Feast: Radical Hospitality and Contemporary Art, Smart Museum of Art, Chicago (2012); Grain of Emptiness: Buddhism-Inspired Contemporary Art, Rubin Museum of Art, New York (2010); Cosmology of the Yard, Whitney Biennial, Whitney Museum of American Art, New York; and Hand+Made: The Performative Impulse in Art and Craft, Contemporary Arts Museum Houston (2010).